Away from being fascinated by the very nice look & design, the halo keyboard and the pen, you need to make a fast check of what I found important one day which was "Is it so good to be true?" fact check. No doubt this product is very beautiful, slim, portable and mixes many advantages however you need as well to have a look on the real side which will combine both advantages and disadvantages of this product. As I just said it has an attractive modern design. The Pen advantage and being able to directly write down and save directly to it. Nice Halo keyboard, which you adapt to with no big deals, while of course it is not as same as the real one but it is good as well. Light and thin, It is very portable and good for dynamic people. Battery life isn't 13 hours as mentioned: it stayed with me maximum 8 hours with basic office work. It takes around 3-4 for complete recharge. Using the pen sometimes can lag a bit especially while using the eraser. The mouse pad as a fact I found in 3 different devices, It freezes frequently and you have to beg it for a while to work. A strange problem I faced in two devices, if you left it to sleep, sometimes it stops totally working and you cannot even restart it again and you have to keep trying with the power button so it starts. It was a very annoying problem that made me replace the device and however it is still there that's why I stopped the sleep mode option and I only deal with shutdown directly. The design is sensitive to fingerprints and doesn't look so strong, so quickly you need to buy screen and keyboard protectors and a case which you can find with good options in amazon. 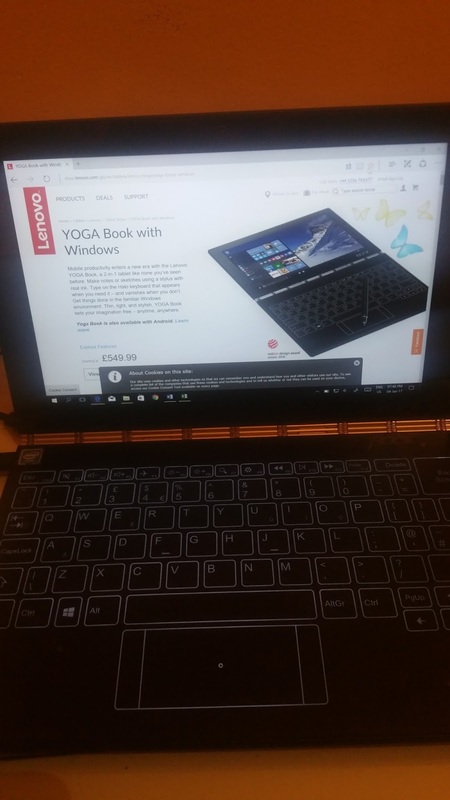 Briefly:I won't recommend buying it now, with the same price go for a better option in tablets and buy a keyboard for it or a normal laptop or even a refurbished iPad. It looks good yeh and tempting to buy, however with such problems it is not worth this price.